Today’s blog post about the Heckerling Institute on Estate Planning is written by Withum’s Estate & Trust Services Partner, Donald Scheier. Today’s session started with The Beatles 1967 hit “When I’m Sixty-Four.” Bernard A. Krooks, Esq. of Littman Krooks LLP, New York, New York started the presentation by reminding us that this is a question we will all most likely ponder eventually (I am thinking more at 84 than 64). His discussion focused on the variety of options available to people in need of long term care, how to pay for it, and other factors to consider. The significance of Long Term Care (“LTC”) is now more important today than it has ever been. Below are some of the important facts and issues to consider. Seventy percent of Americans will require some form of LTC. People are living longer past age 65 (average of 19.3 years for men, 21.6 years for women). For the highly educated and higher income demographic the average lifespan is even longer. There are over 40 million Americans age 65 or older; by 2050, 20% of Americans will be age 65 or older. The reliance on family and friends for support will be much less likely. Children are now more scattered across the country and do not live close by their parents. The increase in divorces is another factor of not moving in with their children. Over five million individuals in the United States have Alzheimer’s disease. That number is expected to triple by 2050. Many people are unaware that Medicare does not pay for LTC. Although Medicare will sometimes pay some costs for very specific kinds of care like “skilled nursing care” while after a qualifying hospital stay “custodial care” is never covered. In addition, even if some rehabilitation services are covered for a limited time, the LTC related costs of a chronic illness, such as dementia or Alzheimer’s disease, are not covered. LTC includes an array of services including help with activities of daily living, such as bathing, dressing, toileting, transferring, caring for incontinence and eating. It may also include assistance with instrumental activities of daily living, such as housework, managing finances, taking medication, shopping or using the telephone. The average annual cost of LTC can exceed $100,000; in major metropolitan areas, the cost can approach $200,000 or more. These costs often bankrupt middle-class families since the United States has no health insurance system for LTC. Medicare does not cover long-term care and Medicaid’s income and asset requirements is often difficult to meet. Married individuals are usually responsible for the cost of their spouse’s care. Although the law does provide some limited protections. The well spouse living at home (the “community spouse”) is entitled to certain allowances, including a community spouse resource allowance and a minimum monthly maintenance needs allowance. Even for couples who maintain separate finances, the responsibility for LTC costs of the spouse exists since the marital estate is deemed to be one entity for these purposes. Divorced individuals will not be responsibility for payment of costs in the future for their ex-spouses, but distribution of marital assets in the hands of the sick spouse will be available to pay for the cost of his/her care. Prenuptial agreements limiting or eliminating the responsibility for the cost of a spouse’s LTC are typically disregarded by government agencies. In the case of second marriages, it often makes sense for the spouse with the greater net-worth to consider purchasing LTC insurance for his spouse, if possible or consider setting aside funds in a trust to pay for LTC. These issues can become extremely contentious, especially in a second marriage involves children from a prior marriage who do not agree with the individual’s spouse. Read Moore, Esq. 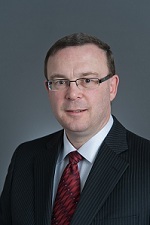 of McDermott Will & Emery LLP discussion entitled “Theory Meets Reality: A Practical Look At the U.S. Income Taxation Of Beneficiaries Of Foreign Trusts” focused on the many challenges faced by U.S. beneficiaries of Foreign Trusts. The United States has extensive statutes and regulations related to the taxation of trust beneficiaries on distributions from trusts, and these rules generally apply equally to beneficiaries of domestic trusts and foreign trusts; however beneficiaries of foreign trusts, are subject to a number of additional rules and regulations that do not apply to beneficiaries of domestic trusts, including the accumulation distribution or “throwback” tax. Beneficiaries of foreign trusts are also subject to extensive information reporting requirements that do not apply to beneficiaries of domestic trusts. The differences in trust law and the administration of trusts in countries other than the United States presents significant challenges in advising U.S. citizen and resident beneficiaries of foreign trusts. In addition to having to know which set of U.S. rules must be followed you must be aware of the filing requirements in the foreign jurisdiction. a U.S. person has basically the authority to control all substantial decisions. A foreign trust is one in which a U.S. court may not have authority over or a non-U.S. person has the authority to control some substantial decisions. The classification of a Trust is required in order to determine which rules under Subchapter J apply in addition to which compliance rules must be followed. You must know who the grantor of a foreign trust is in order to evaluate whether the trust is a grantor trust. This in turn affects the taxation of the grantor and the trustee on U.S.-source income as well as the beneficiaries on trust distributions. Congress in 1996 limited the application of the grantor trust rules to trusts settled by nonresident aliens. The grantor trust rules now apply only to the extent their application results in income being taken into account in computing the income of a U.S. citizen or resident individual or a domestic corporation. IRC § 672(f)(1). In other words, the grantor trust rules generally do not apply to treat a nonresident alien as the owner of a trust’s items of income, gain, and loss for U.S. federal income tax purposes. Under certain limited circumstances, however, a nonresident alien may be treated as the owner of a trust’s income, gain, and loss. The criteria that must be met makes it very difficult to qualify as a foreign grantor trust. The more common situation is to have foreign non-grantor trusts. Foreign non-grantor trusts will pay U.S. income tax on U.S. source income. The beneficiaries of foreign non-grantor trusts will pay income tax on distributions made to them to the extent of Distributable Net Income (“DNI”). DNI is generally calculated the same way as it is for Domestic Trusts with the exception that capital gains and foreign taxes paid are included. If DNI is not distributed in a particular year it is accumulated and there is a concept of Undistribuited Net Income (“UNI”). If there is UNI and there is a distribution in a year in excess of DNI then the “throwback rule” applies to the excess income. A special calculation must be performed on Form 4970 and interest is charged on the UNI amount. As you can tell, these rules are extremely complex! Foreign trusts have many special rules in determining what are distributions, loans and beneficiary reporting requirements, also it is mandatory to determine the forms that must be filed. In summary the planning and paying for long-term care must be analyzed thoroughly well in advance of its need. More commentary about the conference to come from Withum’s Alfred LaRosa coming tomorrow! Today’s blog post about the Heckerling Institute on Estate Planning is written by Withum’s Private Client Services Partner and Practice Co-Leader, Ted Nappi. Day 2 is highlighted by sessions hitting many of the hot topics concerning estate planners across the country. Below is a brief summary of the topics discussed throughout the day. The management and creation of tax basis is the most important planning issue today and, even more so, with “tax reform” occurring for 2018 and beyond. Death may be inevitable but capital gains taxes shouldn’t be. Every client should capitalize on strategies to maximize and concentrate basis in assets where it can be of most benefit. This presenter discussed how innovative, advance planning can maximize value many times over. Two types of trusts that were discussed in detail to try and take advantage of the tax code to maximize basis step up were Joint Revocable Trust (JEST) and Section 2038 Estate Marital Trust. Business succession planning is the process of planning to exit the business, either through sale or through transfer to succeeding generations. This session examined selected tax and non-tax issues associated with exiting the business, and how planning must work with either form of exit. There is not a special category of estate planning strategies designed solely for use when an owner is planning for the future transfer of her or his business interests or selling. Rather, the usual array of planning strategies and transfer tax techniques are available to owners. Indeed, some of these techniques may be especially effective with such interests. Direct gifts using the annual exclusion and the lifetime gift exemption. Sales to irrevocable grantor trusts in exchange for a note. Use of multiple classes of equity to freeze or limit the growth of certain equity owners. Transfers using limited partnerships or LLCs, to facilitate transfers of value while maintaining consolidated management, and to better take advantage of valuation discounts. Use of a charitable remainder trust to avoid immediate capital gain upon a sale. Care and Feeding of a Dynasty Trust: High Protein or Low Fat? Presented by Diana S.C. Zeydel, Greenberg Traurig, P.A. Tax law and concerns about asset protection have driven estate planners to create trusts with longer and longer durations. Keeping these trusts healthy can be challenging. The presenter discussed how we can build muscle to withstand challenges. She discussed whether we go lean now the estate and GST taxes exemptions have been significantly increased. The best practices to achieve a fit and flexible trust in uncertain times was discussed in great detail. For over a century federal law has attempted to regulate the sources and amounts of money in elections. The result proves to some that money is a hydraulic force: efforts to channel it only result in broken dikes and washed away dams. Others believe that the problem is in artful drafting, failed regulators, partisan greediness, the leveraging of the tax code to subvert the campaign finance laws, and a Supreme Court which has no understanding of how politics and the legislative system actually work. This session focused on practical issues in structuring an estate plan to withstand a potential contest or a beneficiary likely to disrupt the post-death administration. It focused on enhancing the enforceability of no contest clauses as well as structuring an estate plan to mitigate fiduciary risk. Estate planners face high risk cases on a regular basis. In order to deal with those cases effectively, estate planners must reach outside of their regular form files and office procedures and adopt the mindset of a litigator in order to reverse engineer an estate plan that will carry out and protect, against all external influences, the client’s testamentary desires. This task is much harder than it used to be, and it is much harder than many estate planners imagine. While post-death contests and disgruntled beneficiaries are age-old enemies of testamentary intent, new threats have arisen in recent decades in the form of sanctioned post-death modifications of testamentary documents. While giving lip service to carrying out the testamentary intent of a testator or trustor, courts and legislatures are rapidly devising new ways to frustrate that intent by giving the beneficiaries greater power to devise an estate plan that meets their, rather than the decedent’s, objectives. The session discussed the tools to carry out the testamentary desires of the client while mitigating the possibility of post-death frustration of those desires. The presenter explored methods to mitigate the risk of a direct attack on estate plan documents and to mitigate the risk of an indirect attack on testamentary intent by a disgruntled beneficiary during the post-mortem administrative period. This session discussed the objectives and key tax and non-tax issues when drafting a buy-sell agreement for a closely-held business. Nature and size of the entity. Value of the entity as a going concern. Book value, market value, or other liquidation value of the entity’s underlying assets. Relative ownership interests of the owners. Financial condition of the owners. Health and insurability of the owners. Commitment of owners to the business and importance of their participation in the business. Availability of assets for redeeming the interest. State law with respect to stock redemptions in the case of a corporation or distributions to members of an LLC. Existence of restrictions under loan agreements on the use of the entity’s assets to redeem equity interests. The extent to which the owners are active in the business and intend to remain active in the business. Licensing or other qualification requirements. Type of entity: C corporation, S corporation, personal holding company, professional corporation, general partnership, limited partnership, or LLC. Potential conflicts of interest and ethical questions involved in representing or advising more than one owner and the entity, either when the agreement is negotiated or when an event occurs that causes the agreement to become operative. A private foundation may not be the most effective tax-exempt vehicle to implement a client’s charitable intentions. The presenter explored the use and structuring of other options, including donor-advised fund accounts, supporting organizations and 501(c)(4) social welfare organizations. He also provided a detailed summary comparing the differences between the private foundation, donor advised fund and a SO. A Donor Advised Fund (“DAF”) is not a separate charitable entity for federal tax purposes. Instead, the term describes a segregated fund or account maintained by an existing section 501(c)(3) public charity to which a donor or small group of donors can make contributions. What distinguishes the fund is that, while its assets belong legally to the public charity, the donor, or a person designated by the donor, retains an advisory role with respect to the distribution and/or the investment of assets held in the fund. A Supporting Organizations (SO) are a group of organizations that were closely associated with public charities but formed as separate entities. As defined by the Code, an SO is a type of public charity described in Internal Revenue Code section 509(a)(3). SOs are classified as public charities, but are not required to meet the strenuous public support tests that must be met by most section 509(a)(1) organizations and by all section 509(a)(2) organizations. Instead, an SO derives its public charity status from a close relationship with one or more public charities described in those provisions. In many cases, SOs perform functions or provide services that are integral to the conduct of the exempt purpose of the public charity or charities supported. Examples of SOs include trusts established to provide scholarships to students attending a particular college or university, fundraising foundations for a school or hospital, and endowment management entities. Many non-profit healthcare systems and other large non-profit organizations also use SOs in their structures, sometimes as parent entities. 501(C)(4) Organizations Section 501(c)(4) of the Internal Revenue Code embraces two general classifications of tax-exempt organizations: a. civic leagues or organizations not organized for profit but operated exclusively for the promotion of social welfare (“social welfare organizations”); and b. local associations of employees. An organization is operated exclusively for the promotion of social welfare if “it is primarily engaged in promoting in some way the common good and general welfare of the community” and is operated primarily “for the purpose of bringing about civic betterments and social improvements. While the concept of social welfare is inherently abstruse and the categorization somewhat of a catch-all for non-profit organizations that resist classification under other parts of Internal Revenue Code section 501(c), the organization “must be a community movement designed to accomplish community ends” to fall with in its ambit. Examples of section 501(c)(4) organizations include homeowners associations, veterans organizations, volunteer fire departments, parks associations, community service organizations such as Rotary Clubs, Kiwanis Clubs and Lion Clubs and public recreational facility organizations. In addition, many advocacy organizations are operated as section 501(c)(4) social welfare organizations. Well-known examples include American Association of Retired Persons (AARP), American Civil Liberties Union (ACLU) and National Rifle Association of America (NRA). In addition, section 501(c)(4) social welfare organizations are not prohibited from engaging in political campaign activities; however, those activities must be secondary to their primary focus on the promotion of social welfare. Stay tuned for more updates about the remaining days of the conference coming out this week! Today’s blog post is written by Withum Wealth Management’s Investment Advisor, Austin Hagaman, CFP, AWMA. Every year Barron’s, a widely respected financial news publication, interviews Wall Street’s “Top” Investment Strategists regarding their thoughts on the year ahead. Included in this article is a section where Barron’s asks each strategist to forecast which sectors they think will perform the best and worst over the coming year. Barron’s published their “2017 Outlook” on December 19, 2016. Now that we are a little more than half way through 2017, I think it is fitting to check in on how Barron’s “Top” Wall Street strategists are doing. Spoiler alert: At this point, they don’t deserve much more than a participation trophy (which, for the record, I am firmly against). To evaluate Barron’s “Top” Wall Street strategists I calculated their consensus forecast for each sector by totaling the number of positive and negative forecasts issued in the article. You will see from the chart below that Financials was predicted to be the favorite in 2017 with eight of the Wall Street strategists giving the sector positive reviews and none of the strategists listing it as a sector to “avoid”. Consumer Staples found itself at the bottom of the list earning an almost unanimous “avoid” recommendation. To measure the Wall Street strategists forecasting abilities, I simply compared the top three best performing sectors in the first half of the year to the strategists’ top three most favored sectors. As you can see in the charts below, thus far it has been a questionable year for Barron’s “Top” Wall Street strategists. Only one of the strategists’ three most favored sectors, Health Care, was a top performer in the first half. Financials, the sector the Wall Street strategists favored the most, turned out to be one of the worst performing, underperforming both the S&P 500 and 7 out of the other 9 sectors in the index. Consumer Discretionary also looks to be defying the strategists’ expectations. Their forecast called investors to “avoid” Consumer Discretionary, one of the best performing sectors in the first two quarters Lastly, the Industrial sector seems to be holding strong—albeit marginally—for the strategists. Industrials was their third most loved sector and it is currently outpacing the S&P 500 by 0.20%. While a lot of news is centered on truth, this is a reminder that we need to appreciate media outlets for what they are, entertainment, and not get too caught up on the sensational story of the moment. It is prudent for investors to stay focused on meeting their long-term goals and resist the urge to try to drastically outsmart the market. Making small tactical changes to a portfolio can certainly pay dividends, but abandoning the principles of diversification by excessively under or over-weighting a sector can humble even the most experienced Wall Street investors. Unfortunately, Wall Street has become exceptionally good at pushing themes that are easy to sell and sound good in theory but fail to play out as proposed. Investors should be cautious not to overpay for “smoke and mirrors”. While there are plenty of honest advisors in the industry, working with large retail institutions and brokerage houses in an investment advisory capacity can come with conflicts of interest that work to the investor’s disadvantage. Investors can look to reduce these conflicts of interest by making sure their advisor is a Registered Investment Advisor (RIA) with a fiduciary responsibility. 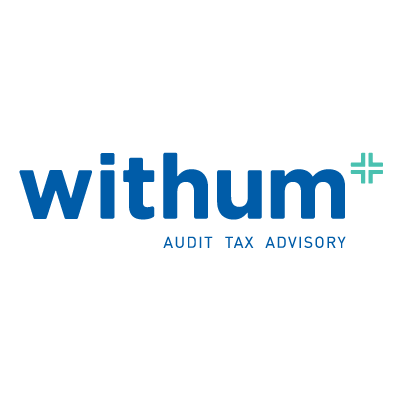 I am proud to say that Withum Wealth is a Registered Investment Advisor (“RIA”) regulated by the SEC that operates independent of the large Wall Street intuitions and brokerage houses. As a firm that takes our fiduciary duty seriously, we choose not sell products to clients that may provide further compensation to the firm. Removing these potential conflicts of interest helps us center our attention on what we believe the client truly needs: an advisor that will help them cut through the noise and focus on what actually drives long-term returns. Stay tuned for more updates on financial news! We are rapidly approaching the 30th anniversary of the infamous one day 22.6% decline in the stock market (October 19, 1987). And for those with shorter market memories October 2017 will mark the ten-year anniversary of the market peak which preceded the “Great Recession.” As such, we thought it would make sense to briefly highlight the benefits (and perhaps simplicity) of long term investing. Both October milestones serve to reinforce our view that maintaining a long term and disciplined approach to the market is what really pays dividends. For investors that permanently exited the markets on October 19, 1987 they missed the market (Dow Jones Industrial Average) climb from 1,738 to over 21,000. And for those who washed their hands from investing at the end of the Great Recession they missed a 250% appreciation in their stock portfolio. Despite efforts of well-respected business publications and media outlets, many investors significantly “under owned” this market rally (March 2009 to current). This reality is no different than what followed the October 1987 “crash” and “tech wreck” of 2000 – namely the individual investor has trouble “staying the course” following turbulent market conditions. We get “Wall Street” will never have a shortage of new (or recycled) investment ideas to peddle to the investing public. And as any TV or radio listener can attest you can’t get through a ten-minute window without being on the receiving end of an endless spew of competing and conflicting investment advertisements. Our concern is investors are listening to the wrong messaging. This past weekend Barron’s Steven Sears ended his “The Striking Price Options” column with a spot on message, “Buy as much fear as you can afford.” We are not blessing his or anyone else’s individual stock picking but rather suggesting the individual investor can tilt investing odds in their favor with some basic discipline and common sense. We completely agree with the notion investors need to maintain an optimal level of equity exposure that corresponds to their current financial condition. Try to minimize investing costs and related taxes. Up until recently there were more hedge funds than Taco Bell restaurants – did you really need one? (I’m referring to the hedge funds, nothing wrong with a good taco.) Today there are more Exchange Traded Funds (ETFs) than individual stocks – do you really need the ability to intraday trade an index fund? (perhaps better to hold onto one as part of a well-diversified portfolio.) Let’s keep this simple as October is right around the corner. If you have a long-time horizon and your financial plan indicates you under own stocks, consider adding market exposure on weakness. If you are in the fortunate position of being perhaps too heavily allocated to stocks, consider rebalancing your portfolio. If you are a short term oriented investor, then we can only wish you good luck. Long term investing does not need to be overly complicated or unduly enrich your broker. Stay tuned for more helpful tips in the future from Withum’s Private Client Services Team! Today’s blog post about the Heckerling Institute is written by Withum’s Private Client Services Partner and Practice Co-Leader, Ted Nappi. It was an enjoyable week in Orlando, Florida attending the Heckerling Institute on Estate Planning conference, catching up with old friends as well as making some new ones. With the uncertainty of estate tax repeal and speculation of its replacement, the week was filled with predictions from all the experts. It will be an interesting year for the tax code and the estate planning profession. Friday ended with two interesting sessions, the first was a review of when to claim Social Security benefits and a summary of the current rules in this area including the new one related to suspending benefits. Prior to 2016, a spouse could file for benefits and then suspend them. That filing would enable the other spouse to claim spousal benefits. Meanwhile, the suspended benefits would grow by 0.666% per month. After April 29, 2016, using the “file and suspend” method no longer creates a spousal benefit. The right of a spouse to claim spousal benefits depends upon the other spouse actually receiving benefits. The second session was a review of the basis consistency and information reporting requirements for executors. The basis consistency provisions for property received from a decedent were enacted as Section 2004 of the Surface Transportation and Veterans Health Care Choice Improvement Act of 2015, which extends funding of the “Highway Trust Fund” through October 29, 2015, and which was signed into law July 31, 2015. If the estate is required to file an estate tax return, the executor is required to report valuation information reports to both the recipients (i.e., “each person acquiring any interest in property included in the decedent’s gross estate”) and the IRS. Estates that file returns “for the sole purpose of making an allocation or election respecting the generation-skipping transfer tax” or portability are not subject to reporting requirements. The Form 88971 must be furnished to the recipients no later than 30 days after the return’s due date, including extensions (or 30 days after the return is filed, if earlier). The presenter provided a detailed analysis of proper values to report as well as who are the proper beneficiaries to receive the reporting forms. If you have any questions or would like to discuss any of the topics covered in our blog posts from any of the five days, please do not hesitate to reach out to one of the Private Client Services partners that attended the conference this week (Hal Terr, Ted Nappi, Al LaRosa, and Don Scheier). More from Withum’s Private Client Services Team soon! Today’s blog post about the Heckerling Institute is written by Withum’s Estate & Trust Services Partner, Donald Scheier. The Nuts and Bolts of Private Foundations (for Estate Planners)” – presented by Alan F. Rothschild, Jr. This session focused on understanding the rules and intricacies of private foundations, their operations and how they differ from other types of qualified charitable tax exempt organizations, particularly public charities. These are some of the highlights of the presentation. Federal, state, and other governmental units in the United States or its possessions. A domestic fraternal society, order, or association operating under the lodge system. A nonprofit cemetery company operated exclusively for the benefit of its members or for burial purposes. Foreign organizations with qualified domestic organizations or certain charities in countries with tax treaties permitting contributions. In order to confirm that an organization is qualified you can access The IRS’ Exempt Organizations Select Check; an alternative source of this information is Guidestar, a nonprofit online database that draws from the IRS records, tax returns, and information submitted by charities themselves. In addition to getting an income tax deduction, contributions made to tax exempt organizations whether classified as private foundations or public charities are deductible for estate and gift tax purposes; however, the allowable deduction for income tax purposes differs significantly. An organization must qualify as a public charity (“PC”) by meeting certain criteria. The Internal Revenue Code does not expressly define the term “public charity,” but instead classifies all nonprofit entities by default as private foundations (“PF”), then provides “exceptions” to this default classification. PFs are further divided into private operating foundations and private non-operating foundations. Private operating foundations typically operate their own charitable programs, while private non-operating foundations’ primary activity is grant making. Some of the benefits of establishing a private foundation are 1) Retain control – the donor and his or her family retains control over the investment of the assets, governance and operation of the entity and the ultimate selection of the charitable recipients. 2) Accelerated charitable deduction – contributions to a PF are deductible at the time of the gift, although the donor or his or her designee retains control over the assets. 3) Structured philanthropy – a family PF can provide a variety of non-tax benefits, including the building of a significant fund with which to accomplish greater philanthropic objectives, institutionalizing the family’s giving for present and future generations, and providing a buffer between the donor and prospective grantees. Private Foundations have strict rules that must be followed as enumerated in IRC sections 4940-4945. These rules relate to a variety of areas and some examples are i) amount of annual distributions (5% of non-charitable assets), ii) types of investments it can make, iii) % of business holdings (excess business holdings), iv) types of transactions (taxable expenditures), v) dealings between certain persons (disqualified persons and self-sealing rules). A private foundation is also required to file an annual tax return on Form 990. Although a PF is tax exempt it is still subject to an annual excise tax of either 1% or 2% depending on the amount it distributes. Knowing the Ropes and Binding the IRS when Fiduciaries are involved in Settlements and Modification: Income and Transfer Tax Issues every Fiduciary should know about – presented by Melissa J. Willms. In this day and age where litigation and settlements are so prevalent, we were given an overview of the significant federal tax issues and problems that arise through various aspects of resolving estate and trust controversies. Every aspect of estate and trust administration has one or more transfer tax (gift, estate, inheritance, and generation-skipping transfer tax) and fiduciary or personal income tax ramifications. Litigation and other dispute resolution measures in estate, trust, and guardianship administration are no different. Dealing competently with the tax ramifications is the responsibility of the fiduciary. Therefore, it is important for any party to actual or threatened litigation to consider the transfer and income tax consequences of any matter or issue that arises in any stage of the controversy. The executor of a decedent’s estate is required to pay federal estate tax (and Generation Skipping Tax, if applicable) if the decedent died owning property worth more than the amount of his or her estate tax applicable exclusion amount. Living individuals, who make taxable gifts, must report those gifts annually, and pay any resulting gift tax (and Generation Tax, if applicable) if the gifts exceeds his or her remaining exclusion amount. In general, private parties cannot simply agree as between themselves what the tax consequences of resolving their dispute will be. The shifting of valuable property rights as a result of litigation, or in compromising bona fide disputes between adverse parties, will have tax consequences to the parties that are largely dependent upon the nature of the underlying claim. Thus, for example, amounts received in settlement of a will contest are generally treated as amounts received in the nature of an inheritance, and as a result, are not subject to income tax. If a dispute is resolved by means of a settlement agreement instead of a final judgment, the IRS will generally respect the outcome so long as the settlement agreement resolves a bona fide dispute and the participants are bona fide claimants. Conversely, if there is no actual dispute, a settlement agreement that is a voluntary rearrangement of property interests may not be recognized by the IRS. Is the IRS bound by a state court adjudication of property rights when the United States was not a party to the state court action? To resolve any doubt, the taxpayer could seek a private letter ruling asking the IRS to approve the tax consequences of the action. There are a number of obligations imposed by federal and state tax laws on an estate’s representative or a trustee in administering an estate or trust such as Duty to File Tax Returns and Duty to Pay tax Liabilities. Federal taxing authorities, to a large extent, use executors as their collection agents. They do so primarily through the notion of “fiduciary liability.” Pursuant to the concept of fiduciary liability, the executor is personally liable for tax liabilities of the decedent, at least to the extent that assets of the decedent come within the reach of the executor. More broadly, fiduciary liability may be personally imposed on every executor, administrator, assignee or “other person” who distributes a living or deceased debtor’s property to other creditors before he or she satisfies a debt due to the United States. While a liability is normally focused upon a court-appointed executor where one exists, where there is none, a wider net may be cast. On its face, Section 3713(a) seems to impose absolute liability upon an executor. It essentially provides that debts due to the United States must be paid before the debts of any other creditor. No exceptions are made in the statute for the payment of administrative expenses or for the satisfaction of earlier liens out of the debtor’s property or estate. However, courts and the IRS have held that this apparent absolute priority is subject to a number of exceptions. First, costs of administering an estate may be paid before a tax claim. These expenses include court costs and reasonable compensation for the fiduciary and attorney. The theory for permitting the payment of these items is that they were not incurred by the debtor but are for the benefit of all creditors, including the United States. However, payments of state income taxes, general creditors, and other claims constitute the payment of debts in derogation of the government’s priority. . Likewise, distributions to beneficiaries are not “charges” against the estate, but are treated as the payment of a “debt.” In addition, a distribution to the executor-beneficiary cannot be treated as the payment of “administration expenses” unless the executor demonstrates that the expenses were used for that purpose. As a result, liability arises if the executor makes distributions to beneficiaries from an insolvent estate before payment of estate or gift taxes. An executor may request a discharge from personal liability for estate, income, and gift tax liabilities of the decedent (which gives the IRS nine months to notify the executor of the amount of the relevant tax) by making a request for such a discharge (IRS Form 5495, “Request for Discharge from Personal Liability Under Internal Revenue Code Section 2204 or 6905″) pursuant to Code Section 2204 (as to estate tax), or 6905 (as to income and gift tax). For estate tax returns filed prior to June 1, 2015, the IRS routinely issued an Estate Tax Closing Letter confirming that if a request for discharge of personal liability under Code Section 2204 was made and the executor paid the amount shown as due, the executor was released from personal liability. The letter further provided that the IRS would not reopen the return for further review absent (1) evidence of fraud, malfeasance, collusion, concealment or misrepresentation of a material fact, (2) a clearly defined substantial error based upon an established IRS position, or (3) a serious administrative error. In June, 2015, the IRS issued an administrative announcement indicating that, commencing with estate tax returns filed on or after June 1, 2015, it will only issue estate tax closing letters upon request by the taxpayer. Taxpayers are advised that they should wait at least four months after filing the return before requesting a closing letter in order to allow sufficient time for the IRS to process the return.script of Tax Return,” and such transcript can serve as a substitute for a closing letter. The income tax consequences of all settlements and controversies must be analyzed in detail. Although the general rule that an inheritance is not taxable there could be exceptions due to the nature of the controversy and the type of settlement. Broadly speaking, income earned by a trust or estate in any year is taxed to the trust or estate to the extent that the income is retained, but is taxed to the beneficiaries to the extent that it is distributed to them. The Code sets forth a detailed method to determine which trust or estate distributions carry income out to the beneficiaries. Thus, the structure of the payments or distribution from a trust or estate may subject the beneficiary to income tax. This session clearly indicated the major difference of how various States tax trusts and how they are defined in the different jurisdictions. In general, States tax all income of a “Resident Trust” but just the “source income” of a “Nonresident Trust. They define “Resident Trust” in several different ways, however, leading to inconsistent income-tax treatment of the same entity, often resulting in double (or more) state income taxes being imposed on the same income. Moreover, recognizing the constitutional limits on their ability to tax, some states do not tax Resident Trusts in certain circumstances. Practitioners must consider the state income-tax treatment of the trusts that are created for their clients into their estate-planning recommendations. They must take steps to assure that the income of these trusts is not taxed by any state, or by no more than one state in any event. Trustees of trusts that do not already reflect this planning must consider whether there is any way to reduce the incidence of state income taxation on the trusts’ income. Failure of the estate planner and the trustee to consider these issues may give rise to claims of malpractice or breach of the trustee’s fiduciary duty of competence. All income of a trust that is treated as a grantor trust for federal income-tax purposes normally is taxed to the trustor, distributed ordinary income of a non-grantor trust generally is taxed to the recipient, and source income of a trust (e.g., income attributable to real property, tangible personal property, or business activity) usually is taxed by the state where the property is situated or the activity occurs. In summary – The income of trusts based on one or more of five criteria: (1) the residence of the testator, (2) the residence of the trustor, (3) the place of administration, (4) the residence of the trustee, and (5) the residence of the beneficiary. Only the testator, trustor, or beneficiary can change residence for criteria (1), (2), and (5). But, it is possible to control the place of administration (criterion (3)) and the residence of the trustee (criterion (4)). If it has been determined that a trust has paid tax erroneously, the trustee should request refunds for all open years. This session’s focus was on clients who want to make sure that they are doing the “right thing”. How can they make sure that the directors of a charity align investment of the charity’s endowment with the mission of the charity? Can they do that and still comply with their fiduciary duties to the charity? Does the expected return on the investments matter? How can a new client draft a will with trusts for his children having the trustees of the trusts invest only in companies with good labor practices and with good ratings on corporate governance? Socially Responsible Investing (SRI): is a type of investing that combines financial goals with social goals. Impact Investing: often used in place of SRI, as a generic term to encompass various types of investing that combine traditional financial goals with social and environmental goals. Values Based Investing, Triple Bottom Line Investing, Ethical Investing, Green Investing: Used without precision and somewhat interchangeably with SRI and impact investing. A variety of additional terms convey the idea of combining traditional financial goals with social or environmental goals. Blended Value: Refers to an investment strategy that seeks all three forms of value. Targeted impact investing seeks blended value, as do mission-related investing and program related investing. Mission-Related Investing (MRI): are terms used to describe investments that carry out a charity’s mission. Program Related Investments (PRIs): Investments entered into by a private foundation primarily to carry out a purpose of the private foundation. A PRI is an investment entered into primarily for a program-related reason, but one that will generate some amount of financial return. ESG Investing: (also called ESG integration) combines traditional financial analysis with material information about environmental, social and governance factors that may not be reflected in usual market data. Use of ESG integration has grown in recent years.